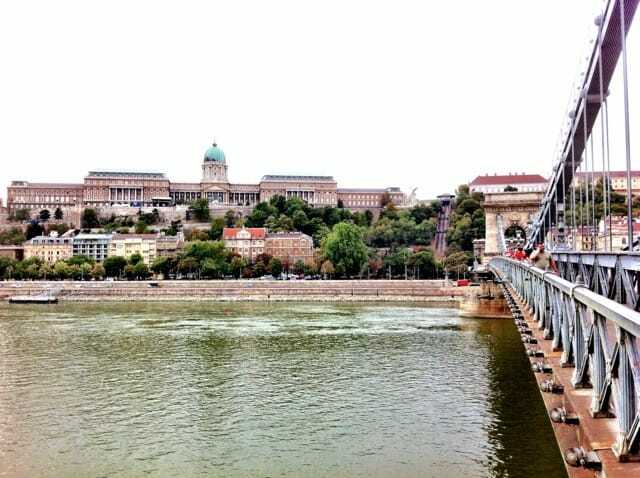 The start of my cruise in Budapest. 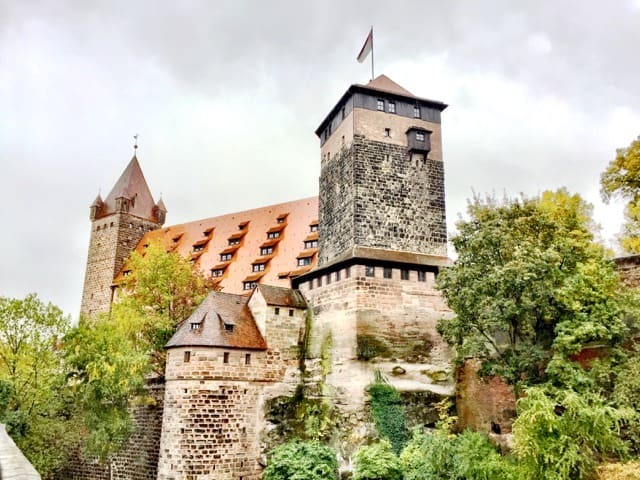 My first river cruise was in 2015: a week-long cruise along the Rhine River with Viking Cruises. I had a fabulous time on that cruise and I promised myself that I would one day go on a cruise along another of Europe’s great rivers. 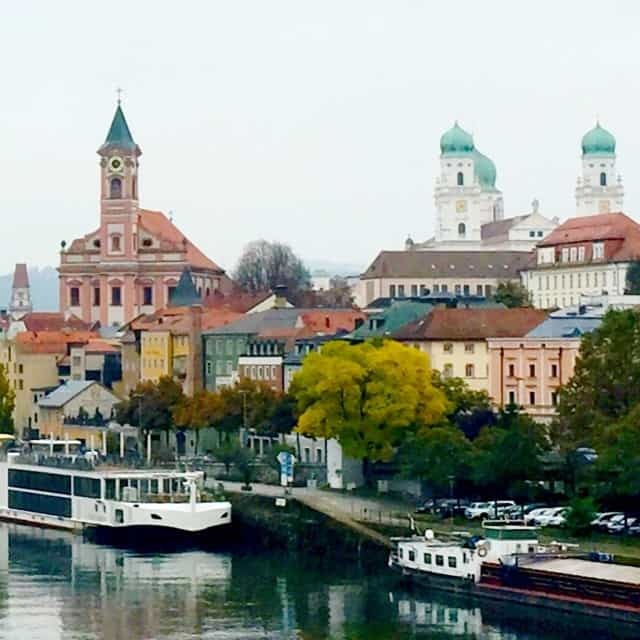 When Viking Cruises invited me to join their 8-day Romantic Danube cruise along Europe’s second-longest river, I didn’t have to think twice! 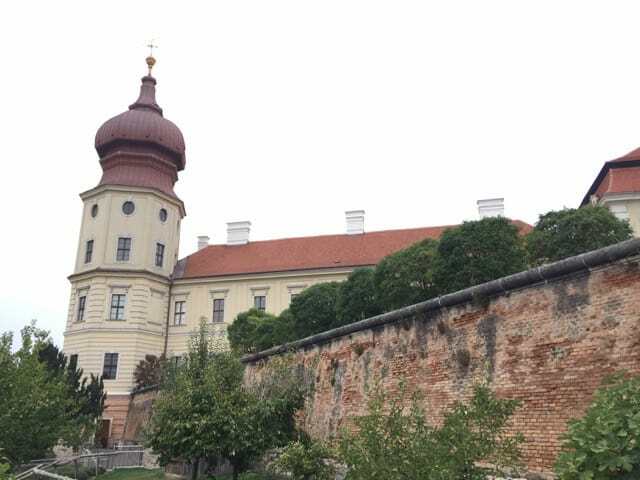 This Danube River cruise starts in Budapest, Hungary, and ends in Nuremberg, Germany (you can of course do it the other way around with Viking Cruises). Along the way, it passes through four countries (Hungary, Slovakia, Austria and Germany), some of Europe’s most beautiful cities like Budapest and Vienna, and several UNESCO World Heritage-listed sites. The cruise package includes lodging, meals and (most) tours. 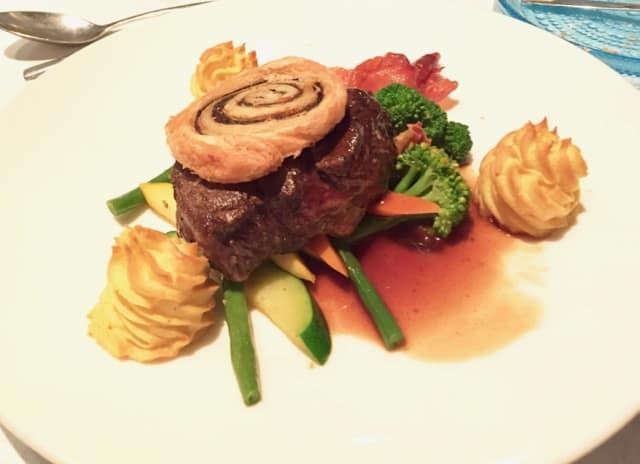 Since I had already been on a Viking river cruise, I had an idea of what to expect on board the luxurious ships, and luxurious they certainly are! 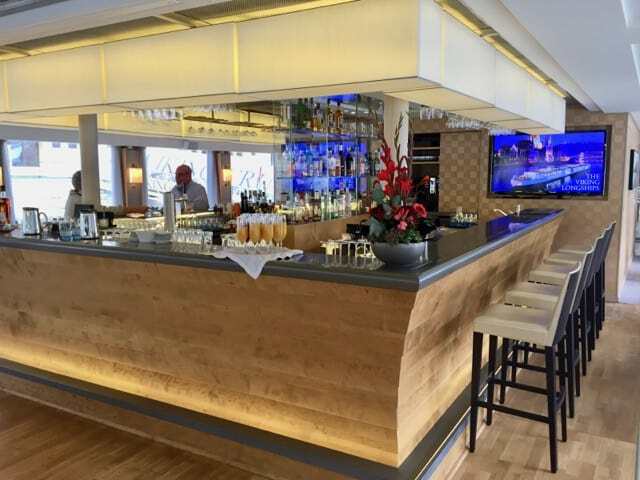 The layout of the ship (Tor) was pretty much identical to the ship I previously sailed on (Mani), with an airy atrium at the entrance, an elegant restaurant on the Middle Deck and a cozy bar/lounge on the Upper Deck. The bar on board the Tor. The rooftop or Sun Deck had a jogging track, a herb garden and a shady terrace. The crew, from the Captain and Managers, to the receptionists, concierge, guides, housekeeping and F&B staff, were very friendly and welcoming. I knew I was in good hands the second I arrived in Budapest! A big smile, a warm welcome and a cocktail! There were two small receiver devices with earphones sitting neatly in the charger near the door – these were used for all guided tours. In the living area, sliding doors opened out to a private balcony with a table and chairs. The living area in the Veranda Suite. The bed was very comfortable and I loved just lying in it and enjoying the view through the large floor-to-ceiling windows. The bathroom was very well-equipped and I was especially happy with the rain-shower, heated floor and fog-free mirror. There was also a flat-screen television (with a selection of news channels and in-house info, movie and game channels), a mini-bar, safe and sufficient closet space. 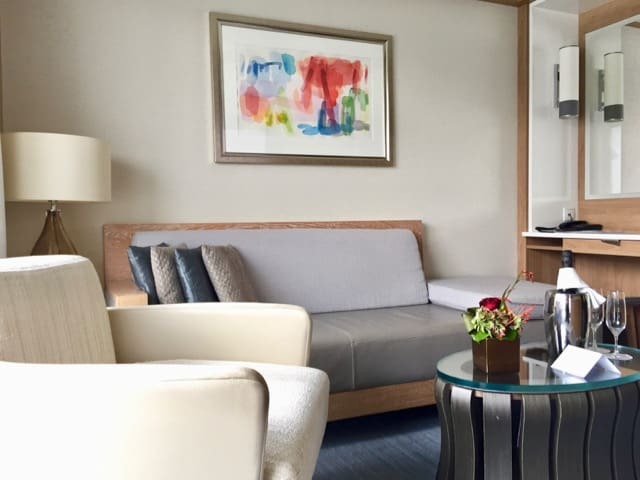 Overall, the suite had a contemporary, functional and elegant feel, typical of Scandinavian design. Lying in bed and enjoying the view! The ship was moored near the Elisabeth Bridge. If you’re reading this and going on the same cruise, note that you’re close to two of my favourite thermal baths in Budapest, the centuries-old Rudas and the Art Nouveau-styled Gellert. Furthermore, the lively Central Market is within walking distance. You can easily visit these on your own. After checking in and exploring the ship, I decided to indulge myself by spending the rest of the afternoon at the Rudas spa. That evening, after introducing himself and his crew, the Captain had a surprise in store for us: a dinner cruise along the Danube to see the city lights! This Budapest evening cruise was simply magical and the floor-to-ceiling windows in the restaurant were perfect for viewing Budapest’s most famous monuments! 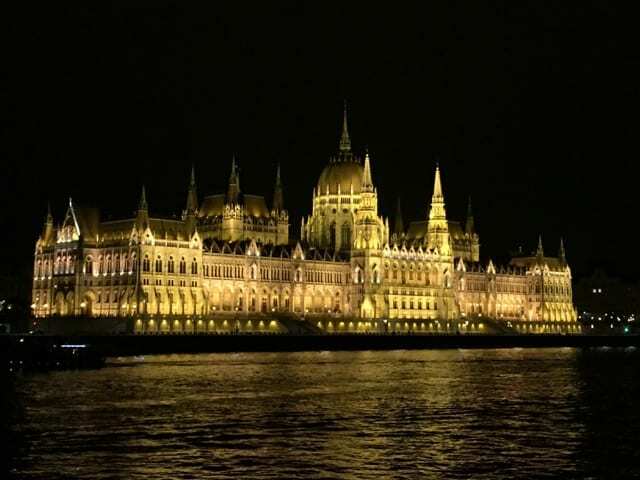 The Parliament Building by night. We set sail from Budapest the next day. Once again, I was just amazed by how silent the ship was (due to its hybrid engines which are not only more eco-friendly but also very quiet). The suburbs of Budapest soon made way for little villages and hilly, forested areas. We passed several historic hill-top fortresses and the imposing Esztergom Basilica before crossing the border into Slovakia in the evening. At the border, we passed through the first of 20-odd locks! 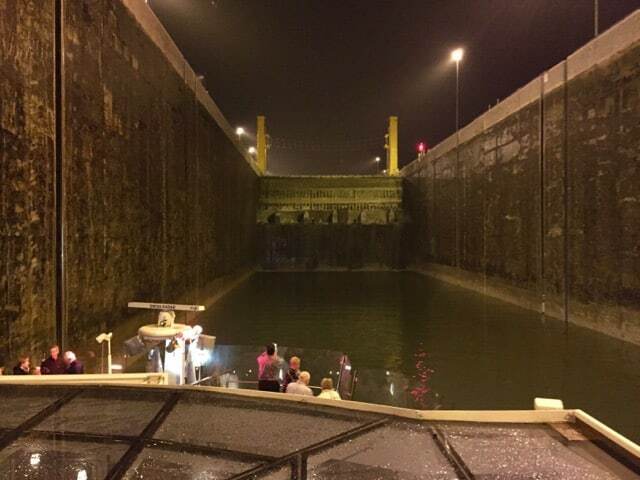 If you’re a fan of locks, like I am, you’ll LOVE this cruise! Passing through a lock never ceases to amaze me. 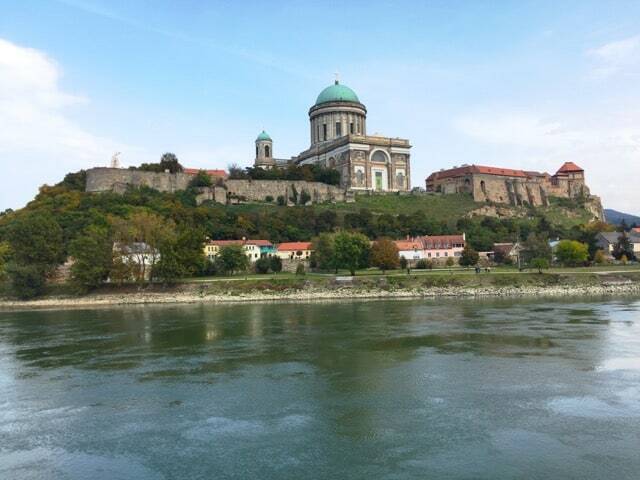 The Esztergom Basilica, one of the largest buildings in Hungary. Passing through the lock at the Hungary-Slovakia border. 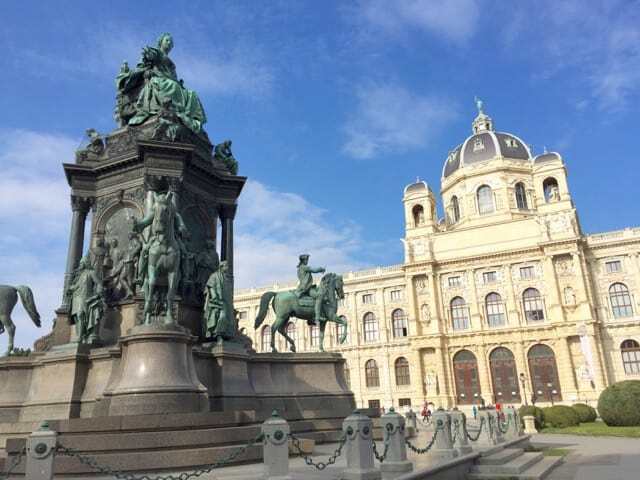 I woke up the next morning to find ourselves in Vienna, one of my favourite European cities! I decided to skip the city tours (I know the city pretty well) and instead went for a full-day of exploring. Read about my walking itinerary of Vienna. The Maria-Theresien-platz with the Natural History Museum in the background. That evening, many guests went for a classical concert at a venue in the city. I was too tired after that long walk but I later heard that the guests loved it. We continued our cruise the next day and stopped in Krems, in the gorgeous Wachau Valley, famous for its historic sites and endless vineyards. From here, we went on an excursion to the breathtaking Göttweig Abbey, a 900-year-old Benedictine abbey overlooking the Wachau Valley. The stunning frescoes above the Imperial Staircase in the abbey were definitely a highlight of the cruise! 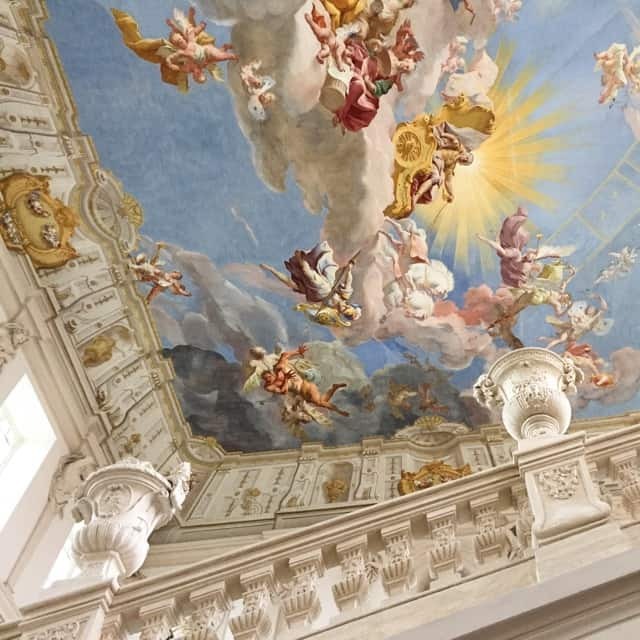 The stunning frescoes above the Imperial Staircase in the Göttweig Abbey. The little opera concert on board. In the evening, we were treated to a fabulous Austrian-themed dinner and an excellent presentation about the life and works of Mozart – I truly enjoyed the presentations on board as they were very informative with a good dose of humour. The topics ranged from the history of the coffee houses in Vienna to the construction of the Rhine-Main-Danube Canal. 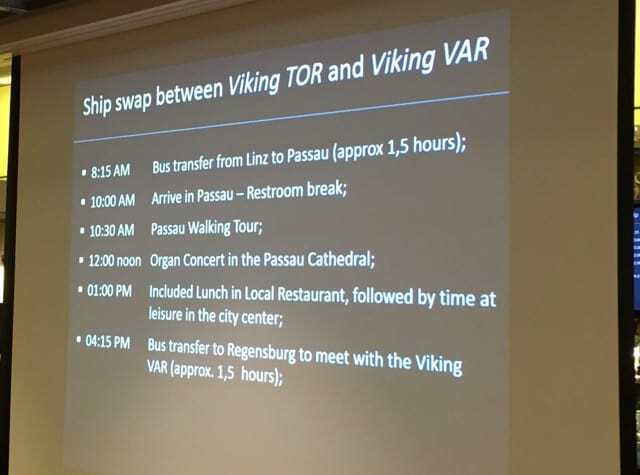 We also enjoyed the little opera performance on one of the evenings – it’s very cool how Viking Cruises showcases the history and cultures of the different countries we passed through presentations, the meals and the activities. There was some disappointing news that evening as the Captain informed us that we were unable to sail further on the same ship as the water-level of the Danube at the Austrian/German border was too low to accommodate the ship. As a consequence, we had to continue along the river by bus and swap ships at a town upriver. This also meant that the excursion to Salzburg had to be cancelled. Many guests grumbled about this inconvenience but there was nothing anyone could do. The staff, who had to work extra hard, made the transition as smooth as possible. Kudos to them for handling it so well! I wasn’t too disappointed about missing Salzburg. 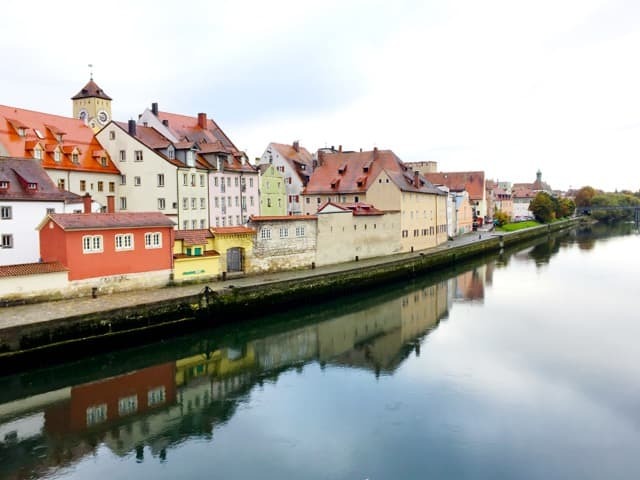 The swap allowed us to spend more time in the lovely towns of Passau and Regensburg, and the bus-drive through the gorgeous Bavarian countryside to get to the next ship (the Var) was a treat. The special briefing about the ship swap. The staff did a terrific job! Passau and Regensburg turned out to be the highlights of the cruise for me (it was my first time there). These two historic towns in Bavaria, Germany, are absolutely beautiful. 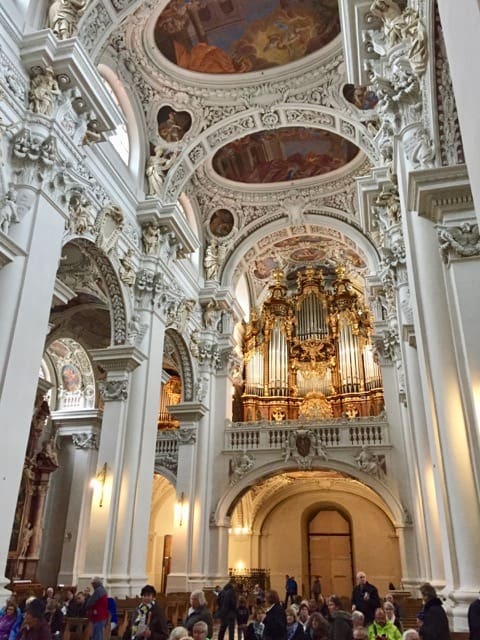 In particular, the Cathedral (where we attended an organ concert) and the New Bishop’s Residence in Passau, and the Jewish Quarter in Regensburg are must-sees! Due to the ship swap, we got to spend a bit more time in both towns and I loved just strolling around the picturesque streets. Read more about Passau. 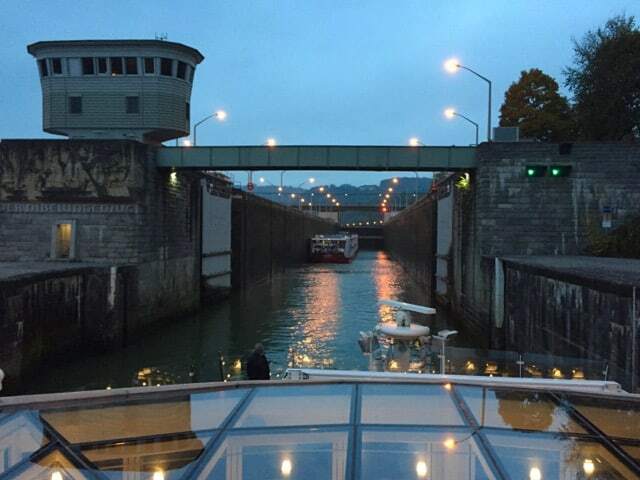 Passing through another lock, this time in Austria. Yes, our ship actually squeezed into that small space alongside the other ship! Inside the amazing Cathedral in Passau. 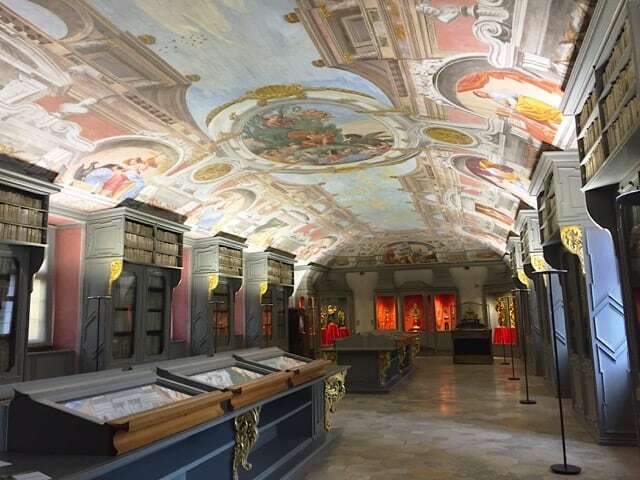 The stunning library inside the New Bishop’s Residence in Passau. Passau. The building with the green domes is the Cathedral. We boarded the new ship, Var (which is more or less identical to Tor), in Regensburg, where we spent the evening. 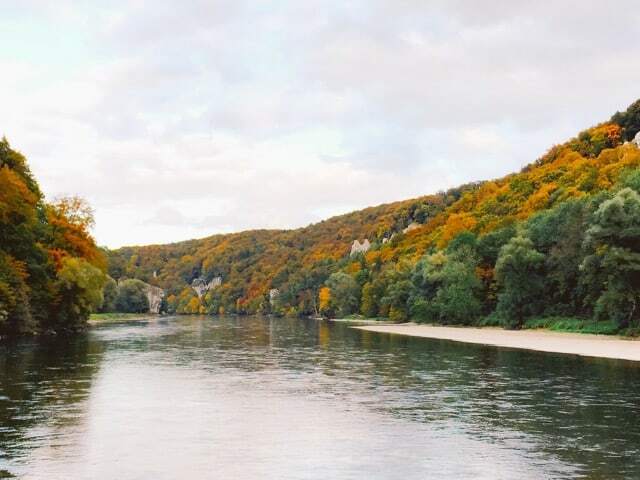 The next day, after a walking tour of Regensburg, we embarked on a beautiful excursion to the Weltenburg Abbey and the Danube Narrows. The abbey is home to the oldest monastic brewery in the world (founded in the 11th century) and is situated at the river’s edge, surrounded by lush forests. 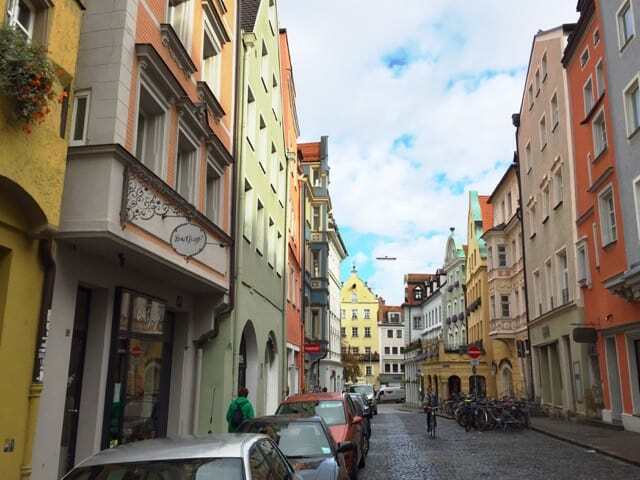 A colourful street in Regensburg. We skipped dinner on the ship in Regensburg and found a nearby brewery, Brandl Brauerei, where I had a delicious bratwurst with sauerkraut! 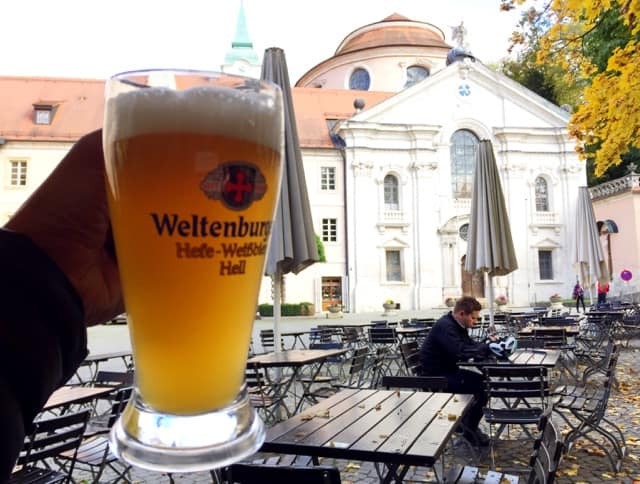 Enjoying a beer at Weltenburg Abbey, the oldest monastic brewery in the world. Gorgeous fall colours in the Danube Narrows. From here, we set sail towards our final destination: Nuremberg. The second-largest city in Bavaria after Munich, Nuremberg is perhaps well-known for its role during the Nazi era and for the post-WWII Nuremberg Trials. The Nazi monuments still exist and are a grim reminder of a horrific period. We passed some of these monuments on a (bus) tour before going on a walking tour of the medieval walled town. 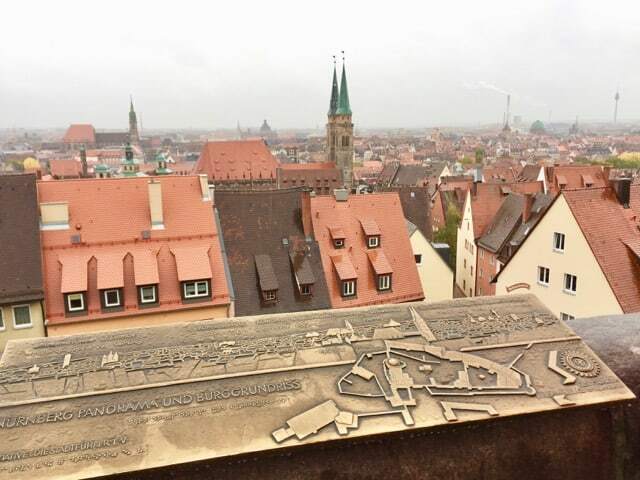 A panoramic view of Nuremberg from the castle walls. 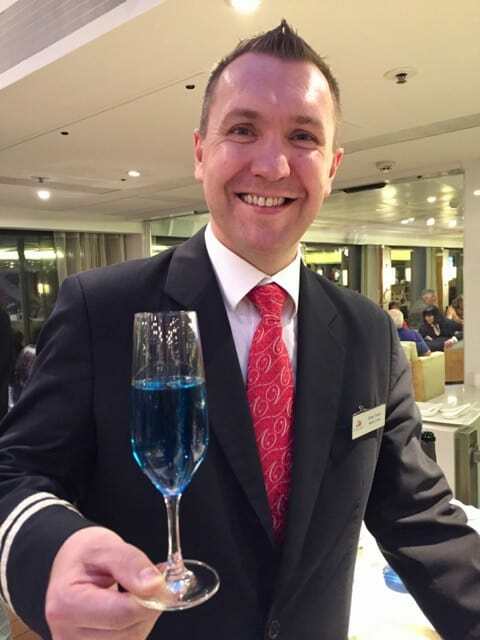 On our last evening on the ship, we joined the Captain for a toast before tucking into a sumptuous Farewell Dinner. Dinner on our last evening. I had a great time on the cruise. 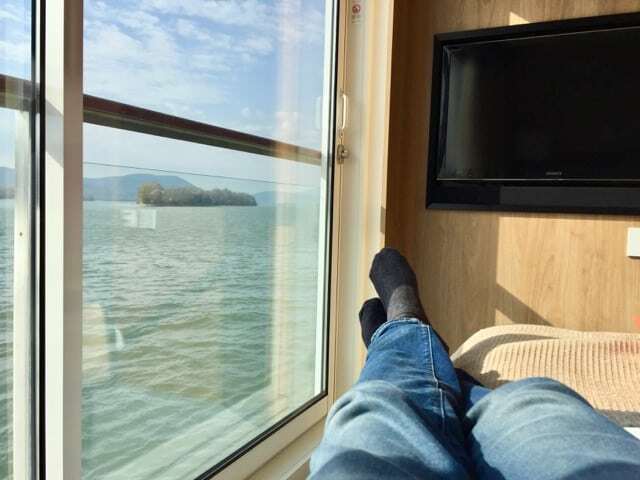 I especially appreciated the consistent quality of the accommodations, food and service across the different Viking River ships I’d been on (the Rhine and Danube cruises). The ship swap was bothersome and the staff were quite clearly ruffled by it but they handled it really well and made sure everyone was comfortable. A big thank you goes to Viking Cruises and the crew on board Tor and Var for the lovely cruise! 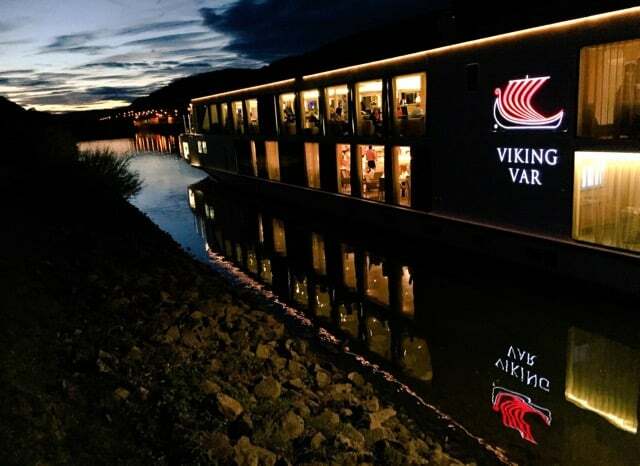 Note: I was hosted by Viking Cruises on the Romantic Danube cruise. As always, all views expressed above are mine, and mine only. I opted for the Weltenburg Abbey/narrows and it was absolutely beautiful. The Abbey is stunning and it’s also one of the oldest (if not the oldest) monastic breweries in the world, so if you like beer, choose this one. In addition, the scenery around the Abbey along the river and surrounded by forests is wonderful. I also enjoyed the little cruise through the narrows. If you’re interested in (art) history, nature and beer, you should choose this option. Keith, thanks for the concise but very informative summary of your river cruise. We are booked on the Viking River cruise of the Danube and can’t decide between the narrows plus Weltenburg Abbey or staying with the ship and going over the continental divide via the 16 locks. We have been through locks before on a previous Rhine cruise but wonder if this stretch of the Danube is worth missing the narrows/Weltenburg. Do you have a recommendtion as to which option is more interesting? I will never ever get tired of seeing the Parliament building at night! And your bedroom view of the river, AMAZING! 🙂 Thanks for sharing your experience! Thanks for your comment. 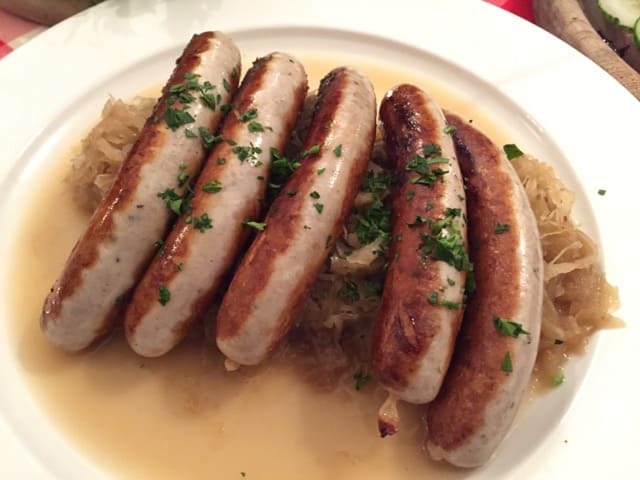 I enjoyed both this and the Rhine River cruise, with a slight preference for the Rhine cruise because of the amazing Rhine Gorge, with all its castles. That looks so cool! My wife and I have been really wanting to go on a river cruise. Thanks for the great information!